A perfect example of less is more, this pearl headband is full of the elegance and glamour of the 1940s head bands. A beautiful example of 'less is more', this headband is timeless. Featuring a single row of light ivory faux pearls of various sizes enhanced with sparkling clear Austrian crystal accents and set on a subtle silver tone band, this adorns hair with classic style and elegance. Perfect for all hair lengths from long flowing locks or a chic bob to a cute crop, this pearl eternity 'piece' exquisitely combines influences from 1940s diamond and pearl headbands with a hint of simple modern charm. 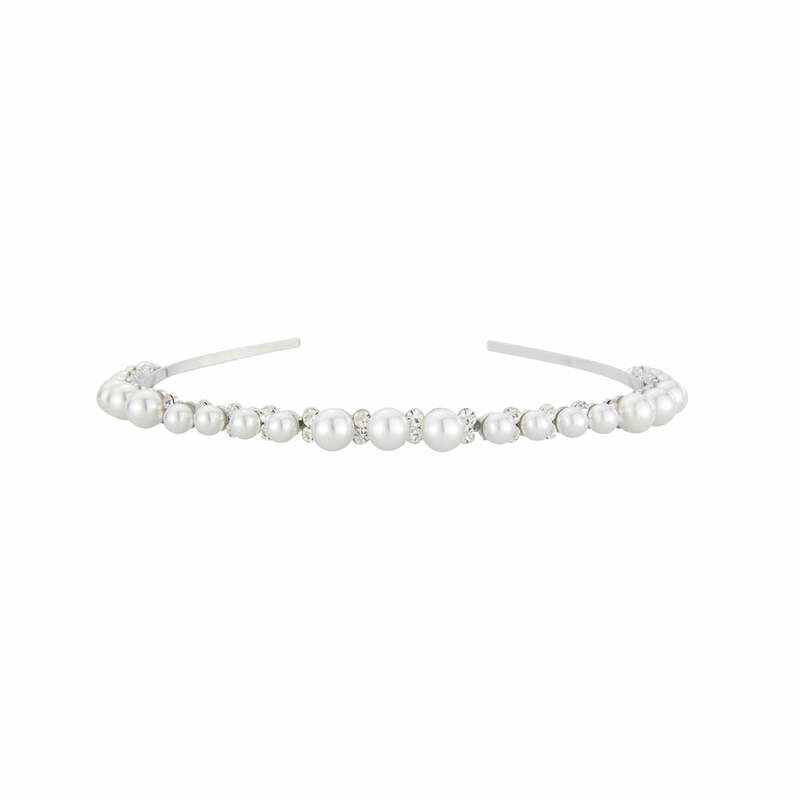 A sensational wedding head band for classic brides, enhance its vintage style with a delicate crystal and pearl jewellery set. A stunning headband which is more beautiful in real life. Excellent value and wore it with the heiress of pearl necklace and earrings as recommended by Glitzy Secrets.